Part 6: Learn What Chess Teaches Kids About Life! - Chess Puzzles! : Chess Puzzles! Part 6: What Chess Teaches Kids About Life! Learn What Chess Teaches Kids About Life! These Three Psychological Practices, when exercised, will build good habits that transfer to all areas of life. Chess Does Not Build Character - Chess Reveals Character! “The game of chess is not merely an idle amusement; several very valuable qualities of the mind are to be acquired and strengthened by it, so as to become habits ready on all occasions; for life is a kind of chess.” -Benjamin Franklin (1706-1790), Statesman, philosopher, inventor, scientist, musician, economist. Chess Provides Opportunity to Build Character! "Habits change into character." - Ovid, a Roman poet who lived during the reign of Augustus. "Sports don't build character. They reveal it." -John Wooden, UCLA basketball coach with 12 Final Four NCAA appearances. 3. Anticipate, plan for the future. "In Chess, if you ignore your opponent's last move, do not analyze his or her intentions, and do not ask, 'What is my opponent's last move threatening?' - you are destined for gloom, doom and destruction. "Remember, 95%+ of all threats in scholastic chess are transparent, easily seen, and easily defended." -John Bain, author of Chess Tactics For Students. Likewise in life. Chess teaches kids to pay attention to others, to consider others' motivations--whether the others are selling a product, promoting a political ideology or religious belief, offering a business opportunity, or making a "romantic" overture--consider the other person's intentions! Consider the strengths and the weaknesses of the proposals--and plan accordingly! "In Chess, if you do not ask, 'Is my next move safe?' - you are destined for gloom, doom and destruction. 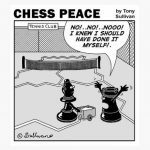 Remember, the majority of scholastic chess games are lost by blunders--giving away free pieces!" -John Bain, author of Checkmate! Ideas For Students. "Insanity is doing the same thing over and over again and expecting different results." -Albert Einstein, a German-born physicist who developed the theory of relativity. “One bad move nullifies forty good ones.” -Israel Albert Horowitz, U.S. Open Champion in 1936, 1938, and 1943. "The blunders are all there on the board, waiting to be made." -Savielly Tartakower, Polish Chess Champion 1935 and 1937. Likewise in life. Chess teaches deliberate analysis and avoidance of unnecessary blunders. What are the consequences of my actions? Do I want to attend a party where students are using alcohol and other drugs? Or, do I want to drive without a seat-belt, and speed, risking a hefty fine, injury or death? What will my opponent’s next move be? Asking this simple question is a psychological practice—a good habit that can be strengthened. What do students do while waiting for their opponent to move? Fidget? Daydream? Look at the games on the boards next to them? Obsess over their plan and their next move with no regard for their opponent’s next move? What should students do while waiting for their opponent to move? Anticipate the next move, prioritizing your guesses--and plan accordingly! 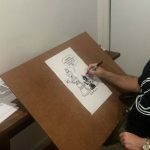 This practice will exercise the brain and save time! Likewise in life. Students begin to recognize patterns, to anticipate what's going to happen, to admire and follow successful role models who plan for the future and are successful. Heading into a job interview, for example, a student can anticipate the questions and prepare accordingly. Or, undertaking a project, a student understands realistically how much he or she can accomplish in a given amount of time. “Even a poor plan is better than no plan at all.” -Mikhail Chigorin, played for World Chess Championship twice! "Chess makes man wiser and far-sighted." -Vladimir Putin, President of Russia--said during the 2001 World Championship knockout in Moscow. “Strategy requires thought; tactics require observation.” -Max Euwe, a Dutch chess Grandmaster, and the fifth World Chess Champion. 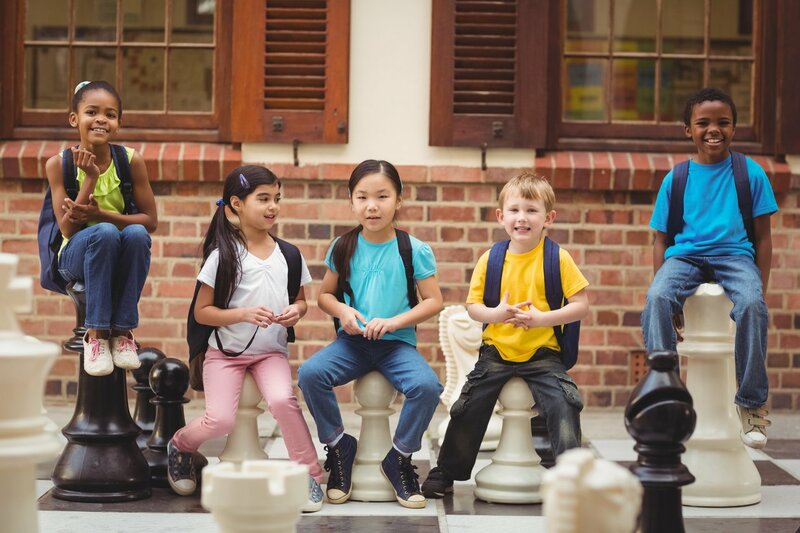 In chess, students learn to distinguish between strategy--the long-term thinking, goals & plans; and tactics--the short-term baby-steps to achieve the goal. For example, a student may choose between two long-term strategies in a game; i.e., 1) to castle on the opposite side of the board from his or her opponent and storm the opponent's castled King's position with pawns; or, 2) to create a passed pawn and advance it to promote to a Queen. To achieve one of these long-term goals--to castle opposite & pawn storm, or to create a passed pawn--requires observation, preparation and tactics, known as the short-term baby-steps to execute the long-term strategy. A student who deliberates and decides on a single strategy--to castle opposite and pawn storm--may actually be thinking 10-20 moves ahead, one move at a time, to execute the long-term strategy! Likewise in life. Students learn strategy is the overall thought, idea or long-term plan--like graduating from high school; and the tactics are the short-term baby-steps necessary to achieve the goal--focus, competing assignments, preparing for exams. Or, maintaining a car may be the long-term plan or strategy; changing the oil every 3,000 miles, rotating the tires every 5,000 miles, a tune-up every 30,000 and making necessary repairs along the way are the tactics or short-term baby-steps to achieve the goal of maintaining a safe, long-running car! "You may learn much more from a game you lose than from a game you win. You will have to lose hundreds of games before becoming a good player." -José Raúl Capablanca, World Chess Champion from Cuba, 1921-27. Each year the Chess Informant publishes all the Grandmaster games played around the world. Amazingly, 53% of the games are draws, 18% of the games are are won by Black, and 29% of the games are won by White. Students soon learn that no one can win all the time in chess or in life, and that learning to accept setbacks and losses are part of chess and part of life. Likewise in life. Students become "right-sized." Students learn to accept loss, analyze mistakes, learn from mistakes, avoid repeating the same mistakes, grow stronger, and move forward in life. What's important is what you learn about yourself from the setbacks and losses in life, because "Chess doesn't build character. 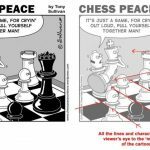 Chess reveals character!" "The most important principle in chess is SAFETY; second is ACTIVITY; everything else on the board is relatively unimportant." -Dan Heisman, USCF National Master and teacher. "Castle early and often!” -Rob Sillars, who wrote Readers Showcase in Chess Life magazine for players below-master strength. Likewise in life. Be sure your own house is in order and you are prepared for whatever comes next. Before you venture to conquer life, take care of business at home. Get your education, training and gain experience--put your own house in order! "No one ever won a chess game by resigning." -Savielly Tartakower, Polish Chess Champion 1935 and 1937. “After a bad opening, there is hope for the middle game. After a bad middle game, there is hope for the endgame.” -Edmar Mednis, an American international Grandmaster of chess born in Riga, Latvia. Likewise in life. Students begin to understand they can learn from a defeat, learning valuable lessons from how their opponents manage time, simplify the position and win the game. Students learn they can benefit from setbacks and losses. "Nine-tenths of wisdom consists in being wise in time." -Theodore Roosevelt, the 26th President of the United States from 1901 to 1909. In scholastic chess as well in the World Chess Championship matches, all chess games are timed. Chess teaches students to use time wisely, to use all the time they have without running out of time! Likewise in life. Students become attuned to themselves, learning what they can realistically accomplish in the given amount of time they have for a project. "The keys to winning in chess are a lot like those needed to win in life. It requires planning ahead, anticipating possible outcomes, and having a lot of patience." -Qiyu Zhou, a former U-14 World Chess Champion, who at 16-years old won the Canadian Women's Championship in 2016. What Makes "Chess Clubs For Students" Work? 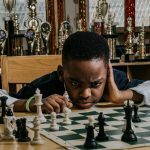 Intro: What Makes "Chess Clubs For Students" Work? outlines practices for building a well-attended, successful chess club. Part 1 - Basic Chess Skills and Psychology For Students emphasizes how learning the Chess Rules and Three Psychological Practices enable students to become stronger players. Part 2 - Basic Endgame Checkmate Patterns For Students covers Four Basic Endgame Checkmate Patterns that will yield collateral benefits to all aspects of a student's games. Part 3 - Choosing Location, Meeting Times & Equipment demonstrates that the right location, the right meeting times, and quality chess equipment will foster enthusiastic student chess club participation. Part 4 - Chess Club Activities For Students shows that activities that are fun--and that improve chess knowledge and skills--are the lifeblood of a well-run, great chess club! Part 5 - How to Promote Chess Clubs in Schools presents the very best, promising practices for promoting school chess clubs. Part 6 - What Chess Teaches Kids About Life notes the virtues, lessons and life skills that chess teaches! NEXT> Intro: What Makes Scholastic Chess Clubs Great outlines how to start, organize and run great chess clubs for students in schools! « Part 5: How to Promote Chess Clubs in Schools!